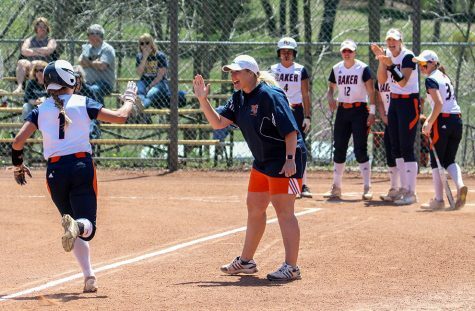 The Baker University softball team has faced the last of its non-conference opponents and its sole focus is now on the Heart of America Athletic Conference, with a 15-15 overall record on the season. The ‘Cats faced Peru State College on Tuesday and after a 3-1 win in game one, they remained perfect in conference play. 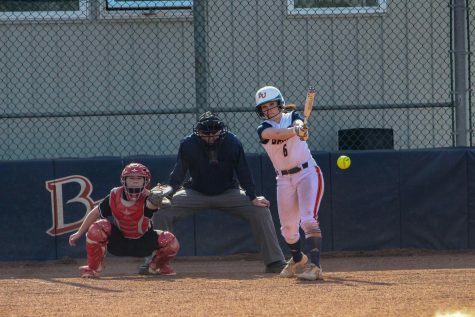 However, the Bobcats handed BU its first conference loss of the season in game two, defeating the Wildcats 4-2 and making their record 5-1 in conference play. The ‘Cats swept Culver-Stockton with a 2-0 win in game one and 11-1 win in game two. 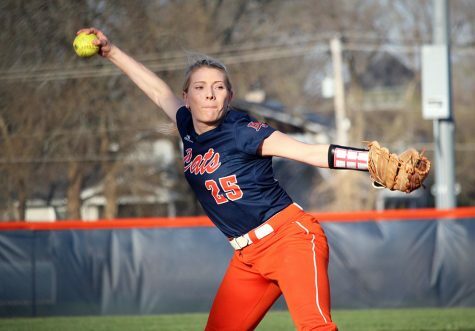 In game one on Sunday, Nelson recorded the win after throwing a one-hit shutout and striking out 14 batters. 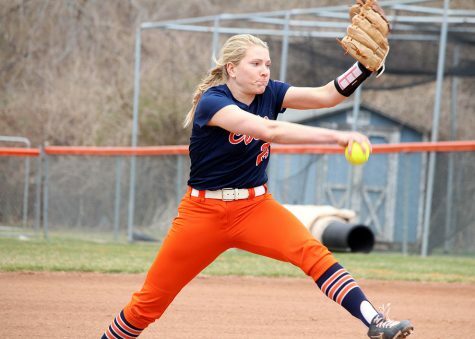 Freshman pitcher Katt Cooper then threw six innings in game two, and senior Brooke Plummer stepped in for the seventh, allowing just one hit. 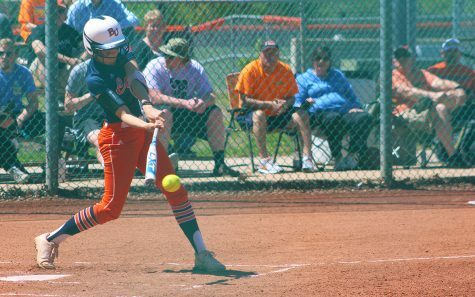 The Wildcats began their HAAC season on March 22 by sweeping a doubleheader against Graceland University 1-0 in game one and 5-1 in game two. However, the ‘Cats fell in non-conference games to No. 15 Park University on March 26, 2-1 and 8-7. The Pirates had walk off hits in both contests. While the losses were “heartbreaking,” the character and determination Stanclift saw in her players was encouraging. 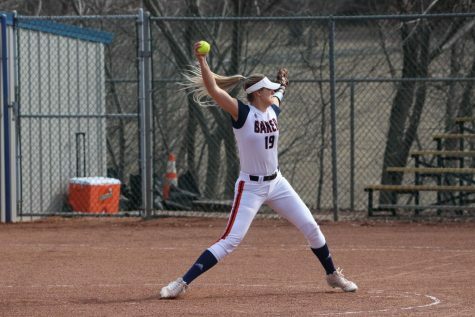 Nelson was named the HAAC Pitcher of the Week on March 17 after recording the 3-0 win against William Woods on March 11, when she had 15 strikeouts and allowed just one hit. 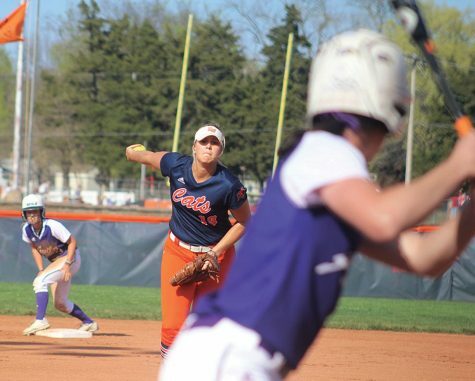 She was then named the HAAC Player of the Week on March 24 after her performance against Graceland. Nelson said her season “started out rough,” but the honors have given her the confidence she needed. 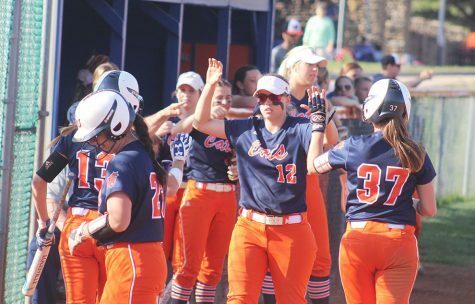 Sophomore MaKayla Greeve saw her first action against Park after battling a strained hamstring, and Stanclift said she “came through big” for the ‘Cats, with three RBIs in game two. 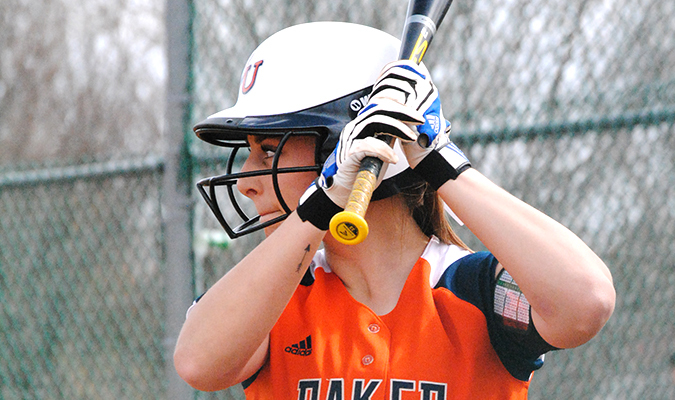 Since her first appearance, Greeve has seen action in each game and has had one hit and four RBIs. ”It felt really good to be able to contribute to my team’s success kind of in a new way since I had been injured and moral support was my role on the team,” Greeve said. From here on out, it’s all conference play as the Wildcats look toward the HAAC championship and making a postseason run. The team is focused on three main goals heading into conference play. “Consistency, confidence and mental toughness. 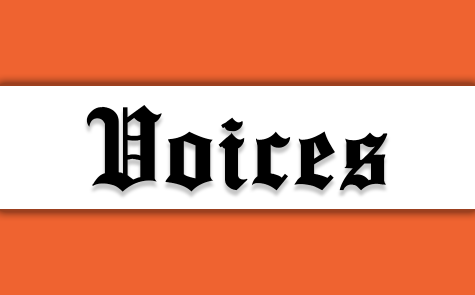 That’s what it takes to dominate in the HAAC,” Stanclift said.